I’ve had the great pleasure over the past few weeks of doing some graphic design and print work with Nick Girling and Jim Petroutsos at Girling Design in Richmond. Apart from the fact that these two blokes are genuinely nice guys it’s also given me the chance to see some of the fantastic new work Nick and his Illustrator wife Mara have been doing for their custom wall print / stationery line Printspace. They’ve just released a stunning new range of prints (for all ages), greeting cards and notebooks which promise to enliven any space – home, work or otherwise. If you get a chance please check them out. 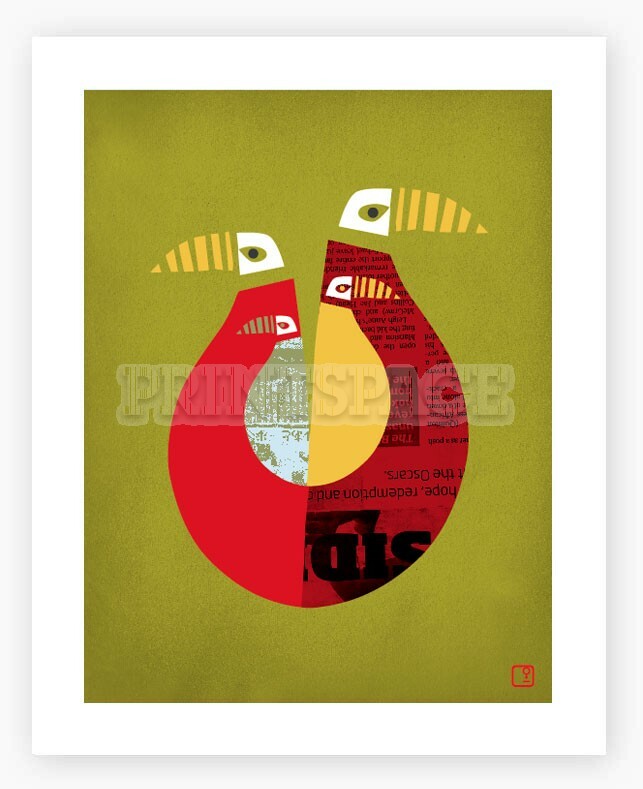 One of my favourites ,‘Proud Birds’, part of the ‘Home’ range, is below.